Fatra provide an array of services to our clients as standard. We believe our PVC membranes are only as good as the support structure behind them. See below the services we offer on all Fatra projects. 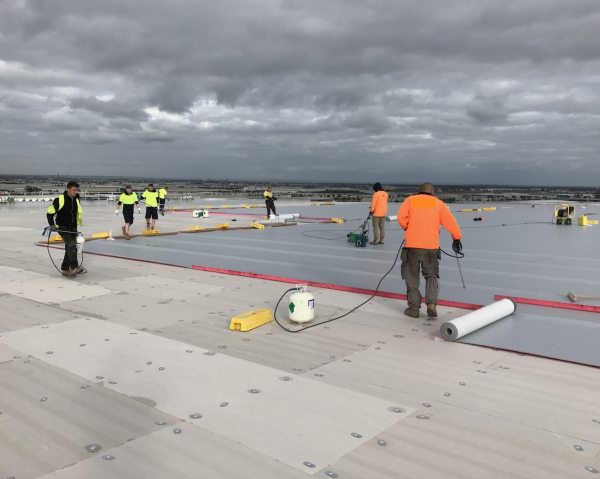 Fatra Australia assess every aspect of the project to establish the correct PVC membrane system, methodology of installation, termination procedures and processes as well as all other aspects to execute the project to the highest standard. This gives our client a clear understanding of what is being implemented on their project providing peace of mind that the most efficient and cost affective system is being installed without compromising quality. Our seamless services ensures all our projects achieve their potential and maintains the high standards set by Fatra worldwide. This educates all Fatra clients the principals of selecting and designing the correct products and systems for their specific project requirements. Fatra offers training to new and existing contractors that is specifically tailored to their requirements and capabilities. Fatra have the capability of providing training programs at our head office Sydney or alternatively at our clients premises or onsite. Our structured training programmes offers flexibility to our clients and considers their commitments as well as budget to ensure their employees receive the most out of our training programmes without extensive down time from site. 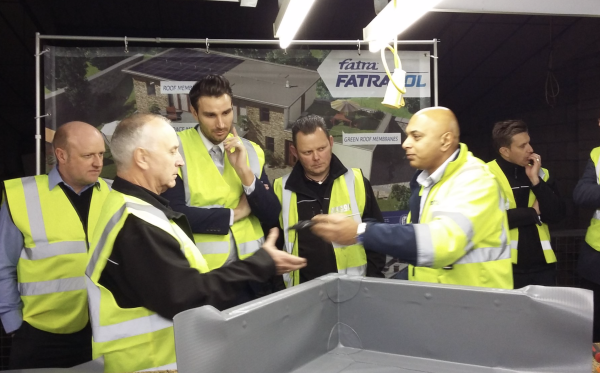 The training courses provides something for everyone, wether you're an experienced PVC membrane applicator or new to the PVC membrane industry, Fatra have a tailored training program that caters for you. Fatra don't just stop at training our clients, we appreciate that practice makes perfect which is why we provide ongoing development to all our clients. We attend each project and assess every single aspect of the installation and establish what areas, if any, may need adjusting or improving. Once the Fatra contractor has completed the necessary training and development programmes, each individual is provided with a provisionally approved Fatra Installers card with an in-depth installation manual covering every aspect of our PVC membrane systems, covering the basics of lap welding through to the more complex aspects such as pipe details. Over a 12 month period, Fatra provide ongoing support and development to ensure each applicator is completely self sufficient. Once the 12 month period is up, Fatra will assess the training matrix and provide a specifically tailored training day to cover the aspects that may need improving. The applicators then receive a full Fatra approved Installers card. Fatra approved contractors have access to upcoming projects and specifications. Fatra put forward approved applicators forward for projects where a Fatra PVC membrane system has been proposed and specified. Fatra membrane systems are supplied to our approved contractor network to ensure the highest install standards are maintained and achieved every time. Fatra understand that our membranes and systems are only as good as the support and management provided by us. Thats why Fatra have a seamless quality management procedure in place to ensure the membranes and systems perform to the standard they should. Once the design and technical specification has been approved and a approved Fatra installer has been allocated to the project, Fatra will liaise with the contractor to attend site and carry out a full quality inspections of the work at agreed phased visits or at the end of the installation. This keeps everybody fully informed on progress and resolve any quality issues straight away. Once the project completion guide has been completed and any snagging issues have been satisfactorily resolved, Fatra issue the necessary material warranties directly to the client. 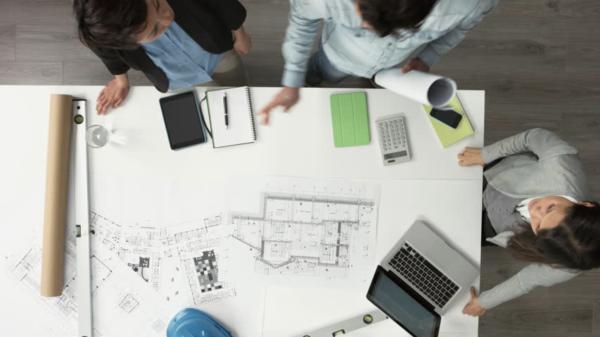 ​Fatra also provide extensive technical support 24/7 to ensure that if there are any discrepancies with any aspect of the project we are on hand to resolve these issues as effectively and efficiently as possible. This gives our clients the relevant information and support to ensure our projects fulfil their maximum potential.